← Shaving with Coconut Oil Review – Does it Work? This entry was posted in Cleaning, Green Holiday Ideas and tagged better for you, cleaning, easy, laundry, rubbing alcohol, saves money, saves time. Bookmark the permalink. 7 Responses to Removing Pine Tree Sap from Clothing with Rubbing Alcohol Review – Does it Work? This is awesome! My kids just learned to climb trees and since most of the trees on our property are evergreens, we have had lots of sap stains. They will pleased that I will allow them to climb again! Awesome! Please come back and share any tips – it’s works great on cotton, but haven’t tried other fabrics yet. Good tip! Thanks for including to do a spot check first. If you ever want to link up, I have a Tuesday Greens linky for green and eco-friendly posts. Love to have you! 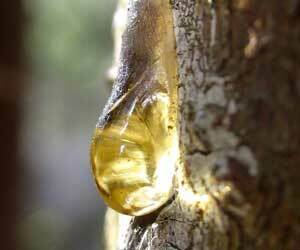 So cool that rubbing alcohol works for tree sap. I use it to get sharpie out of cloth and it works great. Thanks for sharing on Natural Living Monday. Wish I knew that about 40 years ago (wow, 40?!?). I was a tree climber as a kid, and our back yard was pretty much a forest, so I was covered from head to toe in tree sap as a kid. Back then, I had hair down to my fanny, so getting sap in it was a very traumatic event. Cars was another problem – always parking in areas where sap would drip on them. Wonder if the pains can hold up to the alcohol to use it on those?? Hmmm….